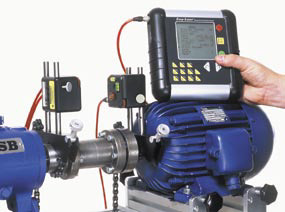 New England SpinTech is a leading provider of Industrial Laser Alignment services in the New England region. If misalignment is left uncorrected, unnecessary stress can be put on bearings, seals, and other components resulting in premature failure. 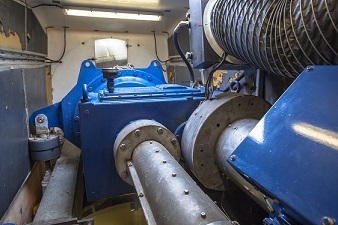 A precision laser alignment will also increase the efficiency of the machine, which will use less energy and result in substantial cost savings in utility bills. In experienced hands lasers are much quicker and will result in a more accurate alignment. We use high quality Easy Laser alignment tools. Located in central Massachusetts our service area includes all of New England. For larger installation jobs or if you have limited time to complete a project, we have the capacity to send up to four alignment technicians (or four alignment teams for extra large machines). 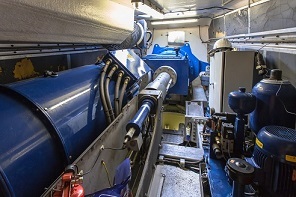 Our Precision Laser Alignment Services are Performed on Horizontal & Vertical Pumps, Gearboxes, Motor & Generator Sets, Drive Belts, Driveshafts, All Tpes of Motors, Cooling Towers, Fans and Blowers, Elevator Sets, Centrifuges, Chillers, Sheaves, Pulleys, and Sprockets, Wind Turbine Gearboxes, all mechanical systems. Belt Alignment – more critical than you think! 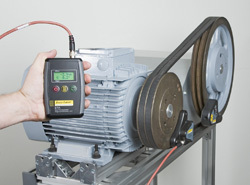 Laser alignment is not limited to new installations. When constant thermal growth and cooling takes place or there are frequent high torque starts and stops, alignment can change.